Characters get killed off in TV shows all the time, but for various reasons, some deaths just hit you harder than others. 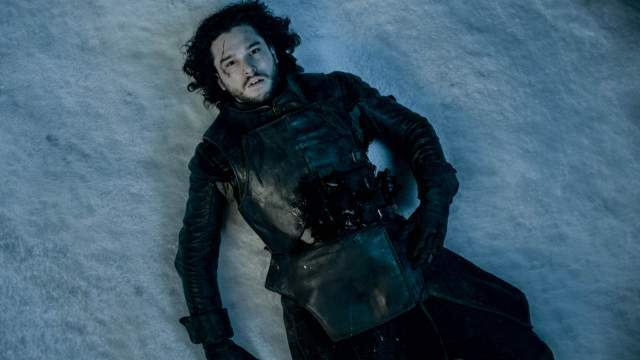 Here are ten small screen deaths that made us curse the television Gods, caused minor mental break downs and generally just slapped us right in the feels. In the scene where Herschel is decapitated by the Governor, all we could think was “Nooooo! 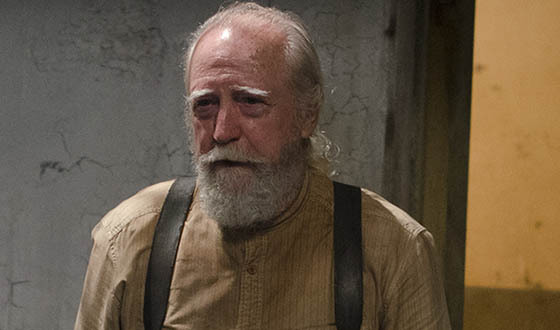 Not Herschel!” The stubborn farmer who risked his life constantly to help others, we thought he’d be in it for the long haul, especially since the tough old fellow had already survived a zombie bite and leg amputation. It was definitely the saddest moment of season four, and we all cheered when the Governor finally got what was coming to him. Oh Rita. So sweet, so trusting, so naive. Despite Dexter’s secretive behaviour and dodgy cover-ups, she never worked out that her man was a serial killer. But as fans know it was this aspect of Dexter’s life that eventually led to her death. At first Dexter uses his relationship with single mother Rita as a cover up for his deeds and erratic behaviour, and to make him seem generally more normal to the outside world. Like most other people in his life Rita falls for this act and thinks she’s landed the perfect man, not realising how numb Dexter is inside. However, over the following few seasons Dexter genuinely grows attached to Rita and her kids, and they eventually get married and have a child of their own. But this happy domestic bliss is cut short when Rita is murdered at the end of season four by the Trinity Killer, as punishment for Dexter constantly harassing him. Rita and their pleasant family life represented the emotionally stunted sociopath Dexter’s human side. When she died it was symbol of his inability to face his demons, and you couldn’t help but hate him for not stepping up to better protect them. So we all knew this one was coming, but it didn’t make it any easier to handle. 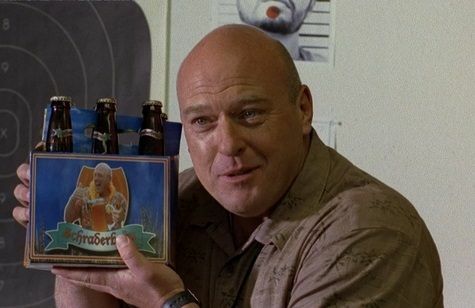 Although he could be racist, crude and more than a little bit irritating , you always knew that deep down Walt’s brother-in-law and DEA agent Hank was a good guy. Still, being a massive threat to Walt’s empire, he had to go, and his death at the hands of white supremacist Jack Welker was pretty brutal to watch. Tara and Willow were such an adorable couple. Their relationship is remembered by many as one of the first homosexual pairings on mainstream television, but to fans they were so much more than just than that. They had a stronger and more mature relationship than the other boyfriends and girlfriends on the show, and were the centre of so many awwwwwh moments between seasons four and six it was unreal. In the one of the final episodes of season six, Tara is killed by a stray bullet meant for Buffy. Because of Willow and Tara’s deep connection it was ten times more devastating watching her die than other prominent characters like Jenny or Anya, because you had the feeling that Willow needed Tara more than Giles and Xander needed their other halves. When Willow realises she can’t use a spell to bring her girlfriend back, she goes crazy evil and uses dark magic to punish Tara’s killers, which went on to be one of the show’s most interesting and memorable storylines. 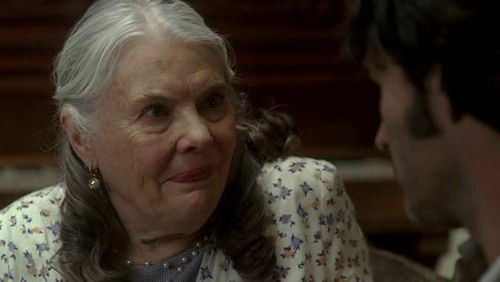 Better known as ‘Gran’, Adele Stackhouse was not only the most lovable old woman in Bon Temps, Louisana, but perhaps in the whole world ever. Kind and motherly, she raised Sookie and Jason single-handedly after their parents died in a freak accident, and was pretty much what held the Stackhouse home together. The fact that she was such a sweetheart is why it was so horrible to watch her die in a violent manner. Murdered by Rene Lenier – AKA Drew Marshall – when he came looking for Sookie, Adele was the third victim of the Bon Temps killer. What makes this particular death even more heartbreaking? Adele returns as a ghost in season four, and tells Sookie she will always be in her heart *sobs uncontrollably*. GoT is known for killing off beloved characters, and the writers have slain plenty that we hoped they wouldn’t. These include Ygritte, Barristan Selmy and practically the whole Stark clan, but the title of worst GoT death has to be a tie between Oberyn Martell and Shireen Baratheon. Why Oberyn? Because we all thought the Red Viper would win. Just as it looked as though he had the upper hand in the dual for Tyrion’s freedom, and was finally about to wreak revenge on the Mountain for the murder of his sister Elia and her children, it all blows up in his face (literally). As for poor Shireen, I don’t think anyone enjoyed watching that scene, and we were all more than a little bit pleased when Stannis finally got his comeuppance in the form of Brienne’s sword. Is there anyone you think we need to add to this list? Tell us in the comments! Previous article21 Reasons Why Owning a French Bulldog Is the Worst Thing You Could Do! Next article10 Crazy Laws That Still Exist Around The World – #3 Made Me Gasp! 15 Perks Of Windows 10 That Will Make You Want to Update now!